Played 21 of a possible 22 games in his first season at Adelaide. 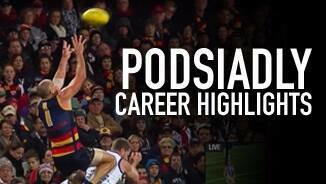 Podsiadly provided a strong target in attack, kicking 26 goals and ranking fourth in the AFL for contested marks (41). The Geelong premiership star also played a cameo role in defence, floating back to provide support for Adelaide’s developing backline at crucial stages. 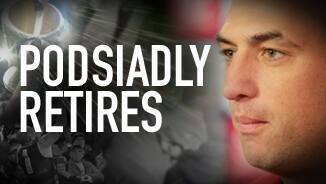 Podsiadly celebrated his long-awaited 100-game milestone in the Club’s win over Collingwood at the MCG in Round 18. 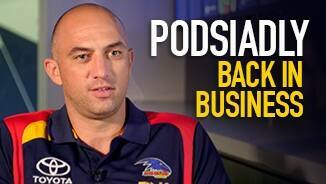 A premiership player at Geelong, Podsiadly joined Adelaide in the 2013 trade period. The mobile key forward played 83 games for the Cats, averaging 42 goals a season. He topped Geelong’s goalkicking (52) in the Club’s 2011 premiership season. A fierce competitor and aerialist, Podsiadly ranked 2nd in the AFL in contested marks between 2010-13. He’s also strong defensively; ranked 8th in the competition in forward 50m tackles in the same period. A latecomer to the AFL, the durable goalkicker has only endured the rigours of playing at the elite level for four years, but boasts enormous experience as a career footballer. 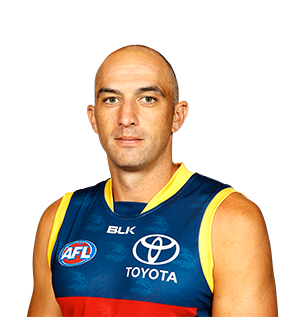 He will provide a strong target in the Adelaide attack and also act as a mentor to the Club’s developing goalkickers.